Sharp even added a “MOE” feature to this vacuum cleaner. 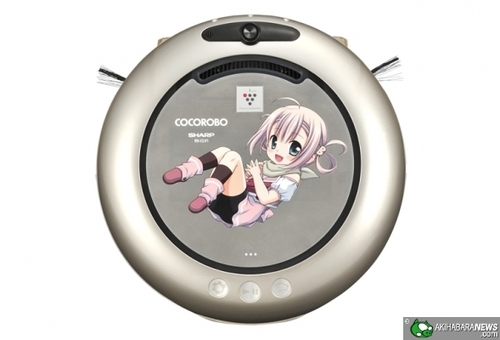 From Sharp’s home cleaning robot series, COCOROBO, a premium model called COCOROBO Imouto Ver. RX-CLV1-P will be out for sale for a limited time. Imouto means younger sister in Japanese. Sharp has decided that an anime/manga flavor will move more cleaning robots. Hmmmmmaybe?